Who doesn&apos;t love pizza? Thick or thin crust, heaped with toppings or simply tomatoes and cheese, pizza is a food that nearly everyone can agree on. 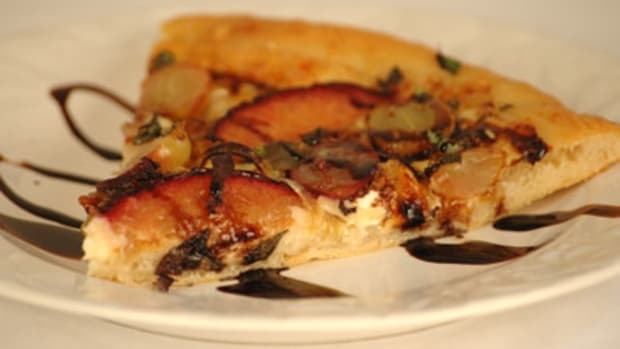 But while gourmet pizza parlors are popping up everywhere, pizza at home is still rather limited: greasy, delivery pies are hardly drool-worthy, and many refrigerated doughs are packed full of hard-to-pronounce ingredients and preservatives. 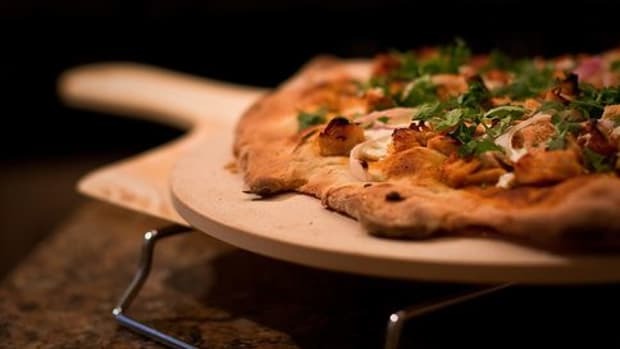 Why bother, when it&apos;s so easy and gratifying to make your very own pizza dough? 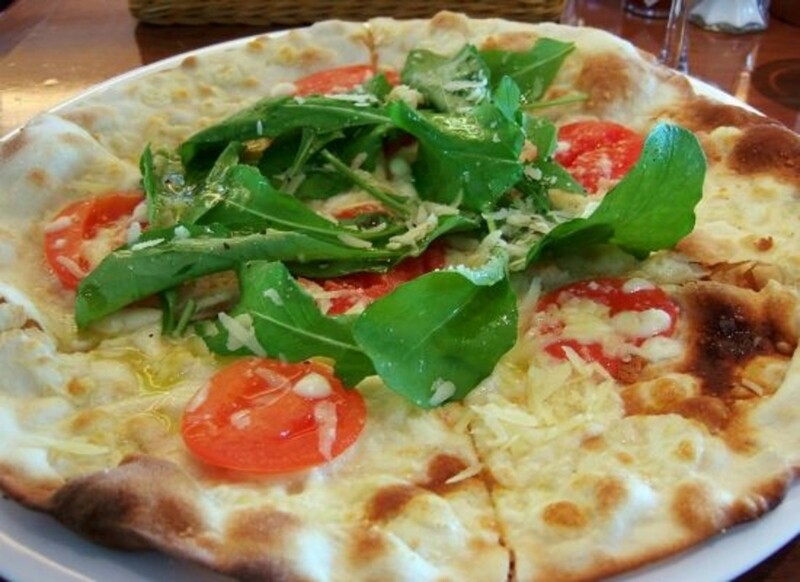 Pizza dough is a very basic yeast-based dough. I make it at least twice a month, the night before I want to eat it, when my dinner clean-up is finished. Put the kids in front of a movie for 20 minutes, and before you know it, most of the work for tomorrow night&apos;s dinner will be done. Put the water in a small shallow bowl and sprinkle the yeast and sugar over the surface. Allow to sit in a warm place for 10-15 minutes, until the yeast foams and doubles in size. Place the flour in a large glass bowl and make a hole in the center. Add the yeast and water and stir with a wooden spoon until the dough begins to come together. Turn out onto a lightly floured surface and knead until you have a smooth, soft dough, about 15 minutes. Knead the salt into the dough. Rinse the bowl and pour the olive oil into it. Roll the ball of dough so that it’s covered in oil. Lightly cover with plastic wrap (allow the dough to breathe) and then with a dishtowel. Leave in a warm place and allow to double in size (time varies based on how warm your kitchen is, but in a cold oven with the light turned on, this usually takes about an hour). Punch down, cover with wrap and dishtowel. At this point I usually put the dough in the fridge overnight. 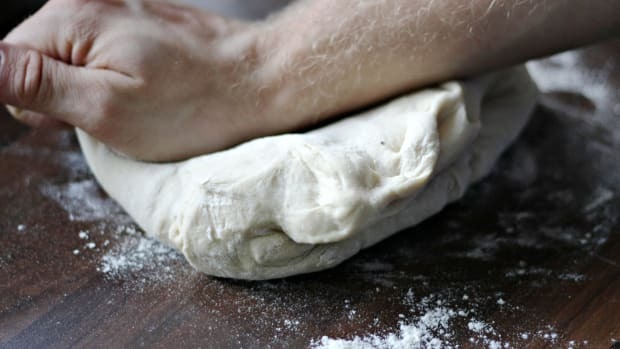 If you’re doing this the same day, allow it to double in size again on the countertop, then punch down and roll out, allowing the rolled dough to rest for 20 minutes before adding the toppings. If you’re like me, keep it in the fridge, then take it out an hour before you’re ready to eat. After 40 minutes, roll the dough out on parchment paper and allow it to rest 20 minutes before adding the toppings. Preheat your oven to 400 degrees, and roll your dough out onto a piece of parchment paper, on a baking sheet. Top with your desired toppings and bake for about 20-25 minutes. 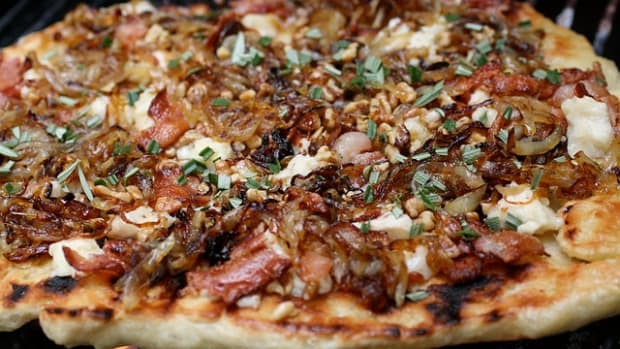 Except for a few pizza purists, most people agree that the toppings are where it&apos;s at. While your homemade organic dough will be full of flavor, especially after a long rise overnight in the fridge, you can have fun with the toppings as well. Here are just a few ideas to get you started, but the sky&apos;s the limit! Spring veggies make for great pizza toppings. Spread your dough with a layer of ricotta cheese or crème fraiche, and then add thinly sliced asparagus, freshly shelled green peas, and steamed artichoke hearts. Top with freshly grated black pepper, and sprinkle a chiffonade of basil over the top of the hot pizza, just before serving. For kids, make the dough and set out bowls of toppings so that they can make their own pizzas! Organic shredded cheese, homemade tomato sauce, sausage, chicken, vegetables... let them decide! Leftovers can make surprisingly delicious pizzas. Taco meat? Chili? Barbecued chicken? 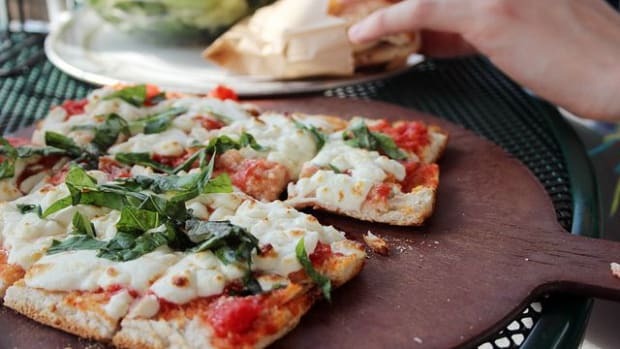 Spread a layer of whatever you have leftover on your dough, top with cheese, and voilà! A clean-out-the-fridge meal no one will suspect. 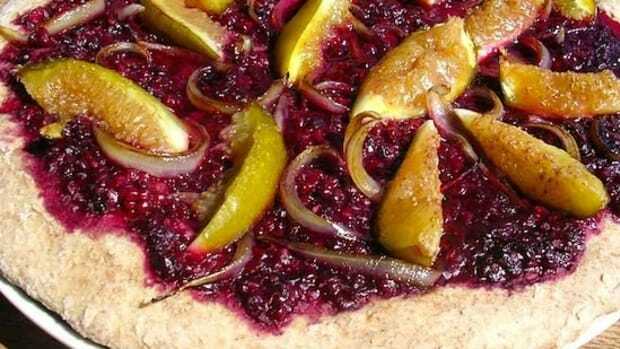 Try Organic Authority&apos;s very own Basil, Grape and Plum Goat Cheese Pizza. 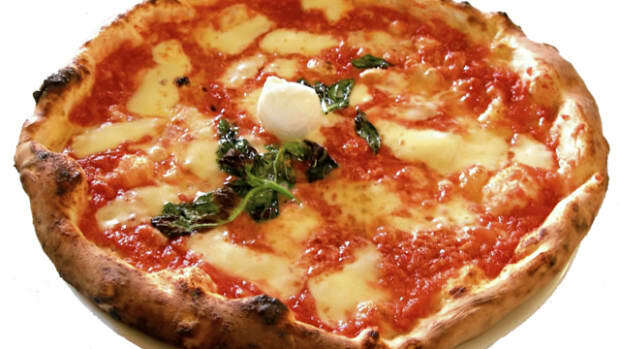 For a plain tomato-and-cheese pie, be sure your tomato sauce is up to snuff, and be sure to use only the very best organic mozzarella cheese. 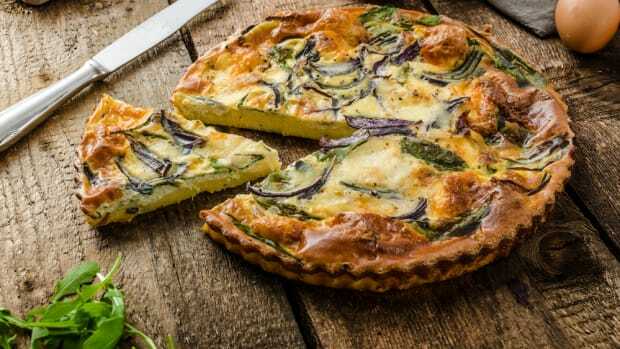 4 Savory Pie Recipes Perfect for Meatless Monday: Get Rolling in the Dough!